This beautiful handmade sterling silver necklace certainly makes a statement. The pendant has been given a hammered effect and features a heart shaped Opalite stone in the centre. 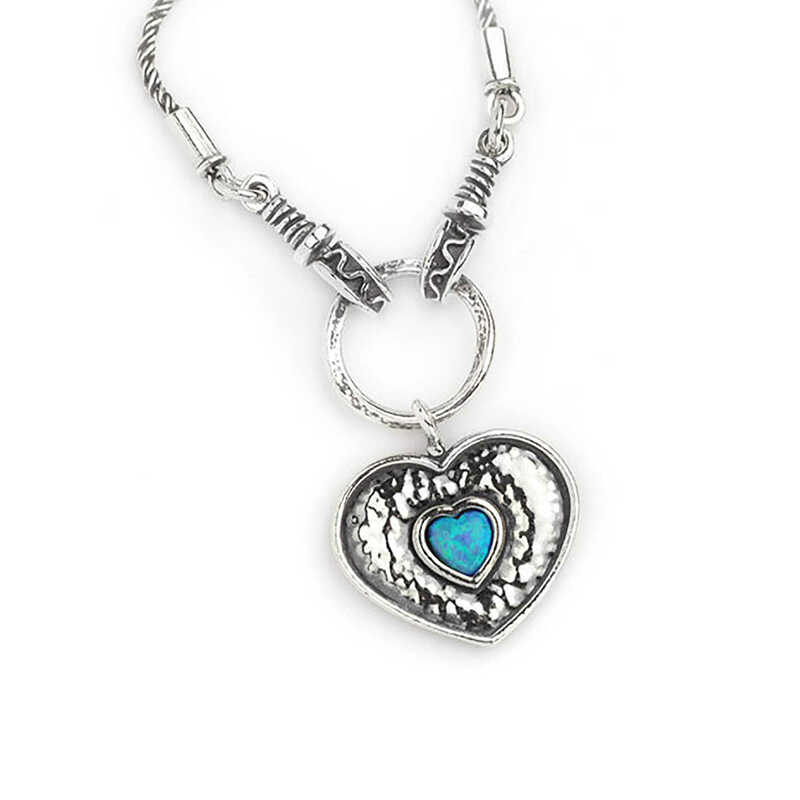 The silver heart hangs from a silver hoop, which is connected to a rope style chunky silver chain by some patterned links. The necklace has been slightly oxidised in areas to bring out the surface textures.